" To the part of Cohan, Warner Bros. assigned kinetic Jimmy Cagney who use to be a Broadway hoofer himself. Aside from being blond, brash and Irish he does not resemble Cohan, but more importantly Cagney has enough talent of his own to make you believe in Cohan's success. 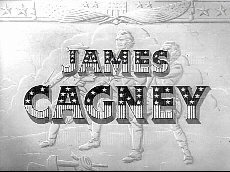 Cagney's performance may win him a 1942 Academy Award"
Interested in seeing his life story bought to the screen, Legendary Broadway Showman George M.Cohan approached Samuel Goldwyn. The project was offered to Fred Astaire who declined, meanwhile Cagney's brother and business manager Bill was searching for a story with real American flavor. Among the reasons to remove the taint that was attached to Cagney's reputation, which had been scarred by his so called radical activities in the thirties when he was a Roosevelt liberal. 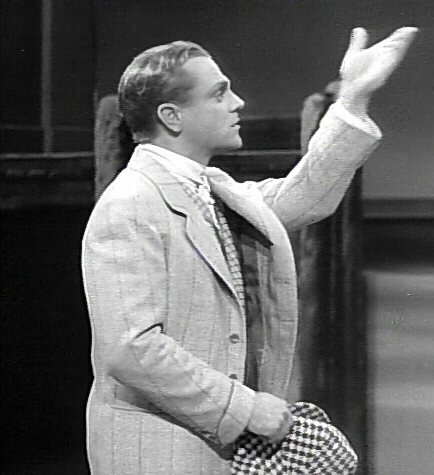 A friend of Cagney's who had been in a show with Cohan convinced him that Cagney would be perfect to portray him on film. 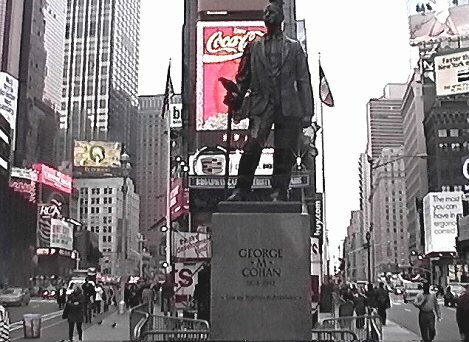 Cohan then approached Warner's with the project retaining rights to casting approval as well as screenplay.The studio spared no expense in bringing the flag -waving biography of Cohan to the screen. 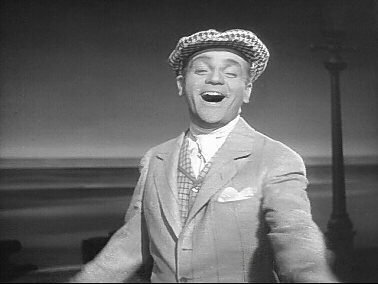 Cagney was in his element as George M. and delivered a finely etched portrayal of the man and the entertainer. 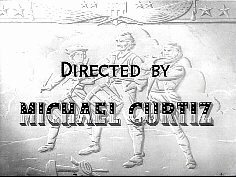 He rehearsed with Johnny Boyle who had worked with Cohan and had staged dances for him. 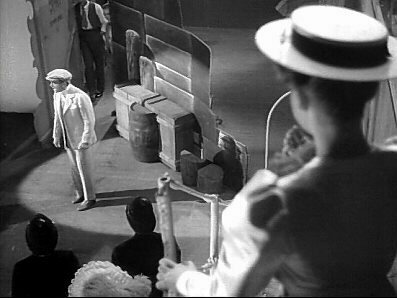 it was from Boyle that Cagney learned the stiff-legged technique and the run up the side proscenium arch. The production was superb in every aspect, and the cast was flawless down to the last member of the chorus. 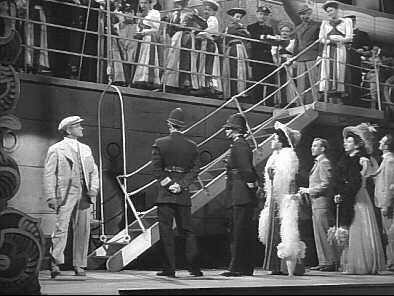 The film was nominated for eight academy awards and won three including best actor for Cagney. The Broadway opening sold first-night tickets for war bonds. The cheapest tickets were sold for $25. The eighty -eight best seats went for $25,000. The total take, $5,750,000 was donated to the U.S. treasury.